Connect with fellow attendees and stay up to date with the schedule and buzz. Peter Ciganik is a Managing Director at GTIS. He leads the Investor Relations and Client Services functions across the Firm's investment vehicles. In addition, Mr. Ciganik is responsible for the Firm's macro and investment research, global strategy and new business development. 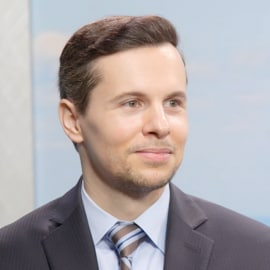 Prior to joining GTIS in 2007, Mr. Ciganik worked with Morgan Stanley Real Estate Funds (MSREF) in London, and with Lehman Brothers Real Estate Partners (LBREP) in New York. In his prior engagements, Mr. Ciganik was responsible for the evaluation, financial modeling and due diligence of equity and mezzanine debt investments, participating in the acquisition of over $800 million of individual and portfolio assets. Before LBREP, Mr. Ciganik worked with Lehman’s Corporate Strategy and Acquisitions group, and as a business analyst with McKinsey & Co. in Frankfurt and New York.